Polite with the Dolphins in 2009. Lousaka Romon Polite (born September 14, 1981) is a former American football fullback in the National Football League for the Dallas Cowboys, Chicago Bears, Miami Dolphins, New England Patriots and Atlanta Falcons. He played college football at the University of Pittsburgh. Polite attended Woodland Hills High School, where played at fullback and inside linebacker. As a senior, he posted 116 carries for 1,022 yards (8.8-yard average), 20 touchdowns and 83 tackles, while earning All-conference honors. He also practiced track, where he was a two-time state finalist in the javelin throw. Polite accepted a football scholarship from the University of Pittsburgh. As a redshirt freshman, he was named the starter at fullback, tallying 36 carries for 109 yards, 16 receptions for 118 yards and one touchdown. As a sophomore, he collected 22 carries for 77 yards, 9 receptions for 69 yards and one touchdown. As a junior, he registered 52 carries for 211 yards, 9 receptions for 76 yards and 2 touchdowns. As a senior, he rushed for 258 yards on 70 carries, caught 25 passed for 222 yards and scored 2 touchdowns. He became the first three-year captain in school history and was a four-year starter at fullback. He also saw action at running back, but had minimal success at that position. 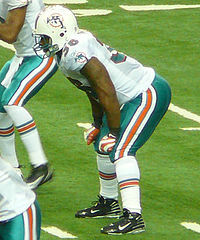 Polite was signed as an undrafted free agent by the Dallas Cowboys after the 2004 NFL Draft. He was waived before the start of the season and signed to the practice squad on November 3. On December 28, he was promoted to the active roster after fullback Richie Anderson was placed on the injured reserve list with a neck injury. In 2005, he took over the starting fullback position after Darian Barnes was waived injured with a sprained ankle. In 2006, he was released on October 20 and re-signed on November 2. He was cut on November 7 and re-signed on November 15. He spent three years with the team, contributing mostly with his blocking at fullback, while registering 28 rushing yards and 97 receiving yards on 12 receptions. He was waived before the start of the 2007 season, with the team deciding to keep rookie Deon Anderson and second-year player Oliver Hoyte. In 2007, Polite signed with the Chicago Bears. He played in 5 games and had 2 tackles on special teams, but did not see any action on the offense. He was cut on August 30, 2008. On October 16, 2008, he signed as a free agent with the Miami Dolphins. The move reunited him with various coaches and front office personnel from the Cowboys, including Bill Parcells who signed him as the Cowboys' head coach in 2004. He saw action on short yardage situations. In 2008, he had 83 yards rushing on 23 attempts, and 51 yards on 11 receptions. He also gained 11 first downs in 12 attempts on 3rd or 4th and one. In 2009, he played in all 16 games for the first time in his career, while blocking for Ricky Williams. That year, he racked up 123 yards rushing, his career high, on 37 attempts. He also converted all 16 attempts on 3rd or 4th and one. In 2010, he played in all 16 games for the second year in a row. He had 62 yards rushing on 26 attempts and also a rushing touchdown, what was the first of his career. He did not contribute much in the passing game having only 61 yards on 12 receptions, however 12 receptions was his career high. He was 14 of 15 in 3rd or 4th and one situations. He was released on September 3, 2011. On December 27, 2011, he was signed as free agent by the New England Patriots to improve their roster depth. He appeared in the season finale, all three postseason games and in Super Bowl XLVI. He was released on March 26, 2012. On August 11, 2012, he signed with the Atlanta Falcons. He was released on November 7, after he was replaced with Mike Cox. In 2016, Polite earned a Master of Business Administration degree from the University of Miami Business School. ^ "Bears start the cut party". Retrieved February 19, 2018. ^ "Polite refuses to live up to his name". ESPN.com. Retrieved February 19, 2018. ^ "How nice: Polite a rugged servant for Miami". ESPN.com. Retrieved February 19, 2018. ^ "Miami Dolphins cutdown analysis". ESPN.com. Retrieved February 19, 2018. ^ "Patriots release fullback Polite". Retrieved February 19, 2018. ^ "Falcons shake things up at fullback". Retrieved February 19, 2018. ^ Habib, Hal (May 5, 2018). "Three Dolphins earn MBAs from University of Miami". Palm Beach Post. Retrieved 24 June 2018. When Will Miami Dolphins Fullback Lousaka Polite Get the Praise He Deserves? This page was last edited on 5 November 2018, at 01:31 (UTC).